Ensure infusion pumps are tested accurately and quickly with real time results using the IDA-1S One-Channel Infusion Device Analyzer, the newest member of the Fluke Biomedical IDA family. 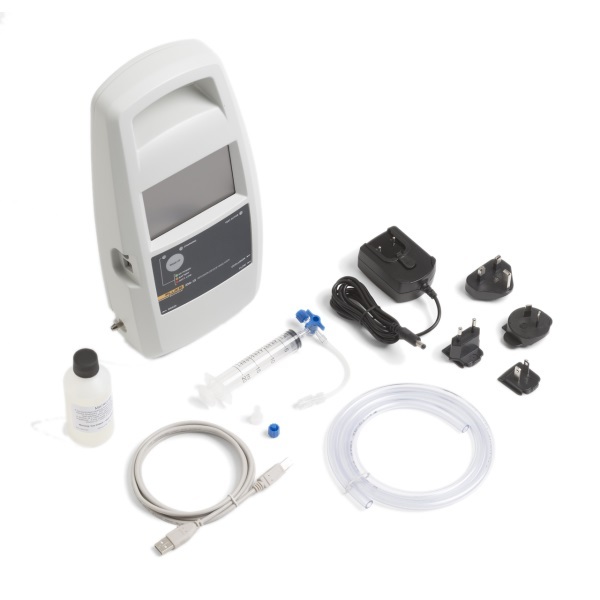 The IDA-1S is a portable, battery-operated instrument that allows for speedy verification of infusion device performance. The IDA-1S measures the flow rate and volume delivered, and the pressure generated in occlusions or blockages of the fluid line. The IDA-1S is based on sophisticated measurement technology trusted by biomedical professionals around the world. It is easy to set up and requires little or no training to use. The IDA-1S can be used to test a wide variety of infusion pumps and an auto-start feature simplifies syringe pump testing and other tests that have long startup times. Click the button below to add the Fluke IDA-1S Infusion Device Analyzer to your wish list.